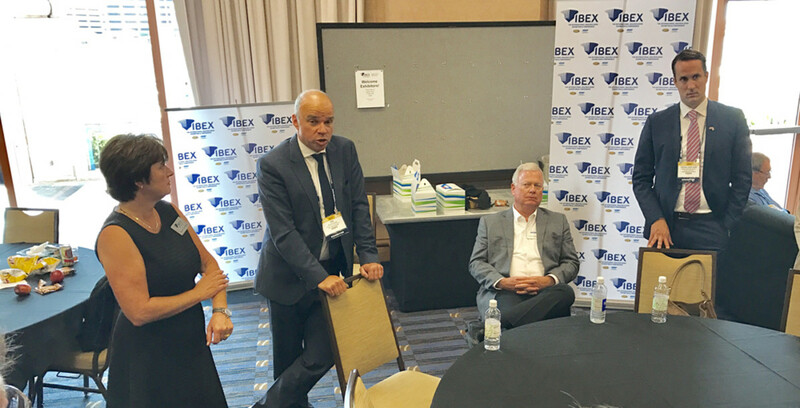 IBEX show director Anne Dunbar (left), Ids Boersma, director and executive vice president of RAI Exhibitions, Thom Dammrich, president of the National Marine Manufacturers Association, and Rens-Jan van Vliet, the METS product manager, who also will become the IBEX global sales and marketing manager, are shown at a press conference Tuesday at IBEX in Tampa. 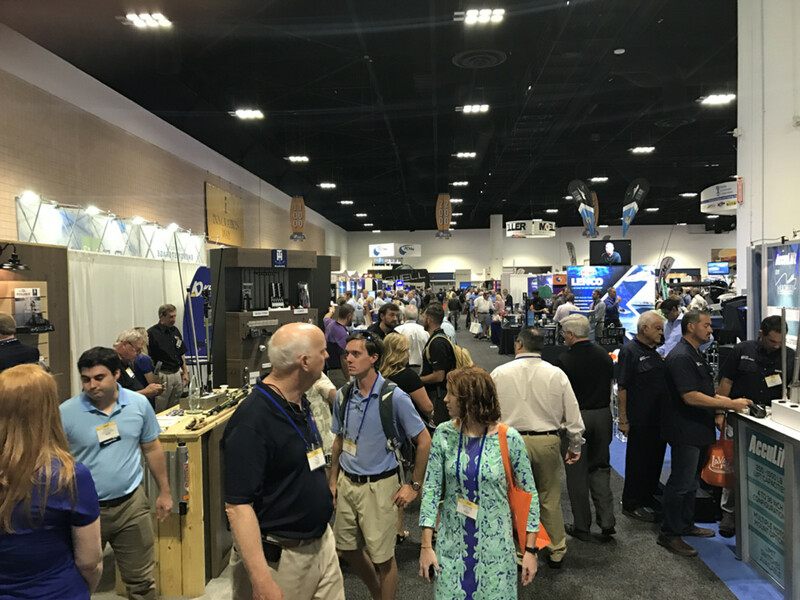 TAMPA, Fla. — The International BoatBuilders’ Exhibition & Conference’s new partnership with the Marine Equipment Trade Show will attract more international exhibitors and attendees as the event continues to grow here in Tampa, organizers of both events said Tuesday. “We’re contracted for three years here, and we’re going to maximize the space,” IBEX show director Anne Dunbar told about a dozen journalists at a press conference after the partnership’s announcement Monday. IBEX and METS Trade leaders will be seeking a larger venue in anticipation of growth. Dunbar said 90 companies are on a waiting list to be exhibitors at IBEX. It was announced on Tuesday that RAI Amsterdam, the group that owns and produces the Marine Equipment Trade Show (METS Trade), has bought a 50 percent stake in IBEX, buying out WoodenBoat Publications, publisher of IBEX founder Professional BoatBuilder magazine. Attendees walk the aisles at IBEX on Tuesday. Organizers expect to attract more international exhibitors and conferees to IBEX in future years. Beginning Friday, RAI will partner with the National Marine Manufacturers Association to produce future IBEX events. This year, two exhibit halls sold out and there were more than 550 exhibiting companies and more than 7,000 attendees. Last year the event was held in Louisville, Ky., where attendance dropped from 2014’s IBEX (which was held at the Tampa Convention Center). There are 45 international exhibitors this year, said Dunbar. IBEX lost some international exhibitors when the show moved from Miami to Louisville in 2008. Dunbar and Dammrich were joined by two RAI executives at the press meeting: Ids Boersma, director and executive vice president of RAI Exhibitions, and Rens-Jan van Vliet, the METS product manager, who will also become the IBEX global sales and marketing manager. Dammrich was confident that IBEX will draw more international exhibitors and attendees by utilizing RAI’s international sales network and contacts in the marine leisure industry globally.